Wash baby�s skin as gently as a touch with this extra-mild baby bath for delicate skin. 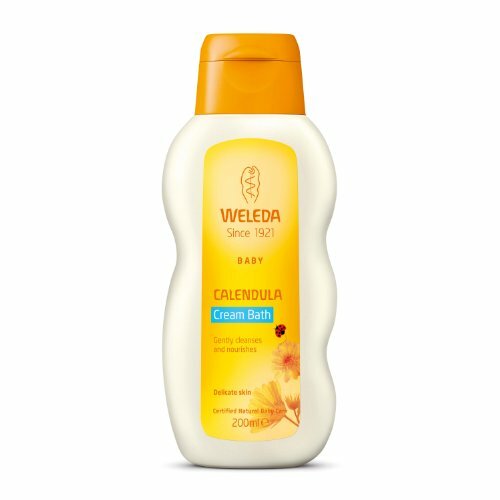 Calendula�s sunny warmth and gentle skin soothing powers are matched with silky sweet almond oil and organic sesame oil to prevent drying, in a truly nourishing blend. Warm and cosseting on the skin, kindly cleansing, it�s a bath made to keep skin soft, smooth and with the lovely fragrance of natural, clean baby.